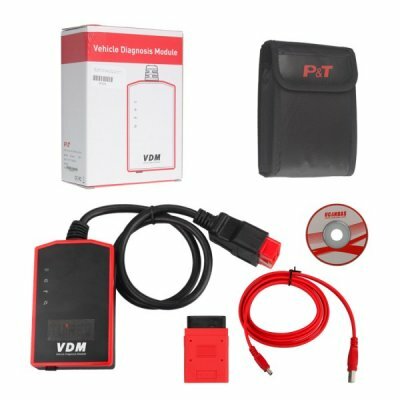 VDM UCANDAS is english version VDM Vehicle Diagnosis Module. 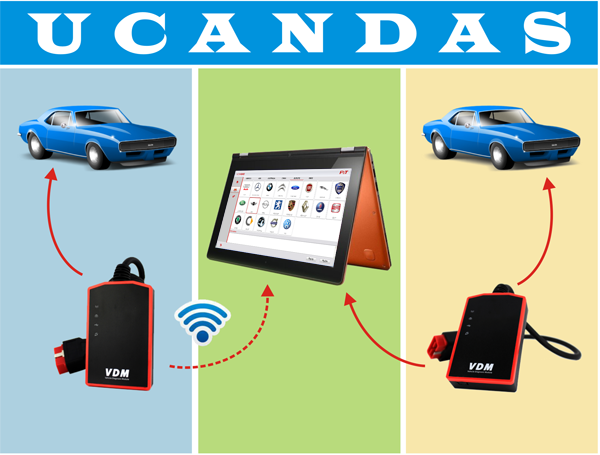 Wireless UCANDAS VDM work for European, American, Asian and Australian prevalent vehicles. 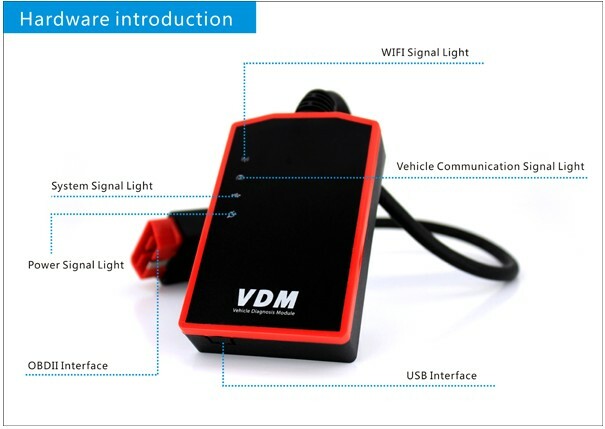 UCANDAS VDM Diagnostic Module Hardware architecture uses new design with multiple protection, interference and stability.